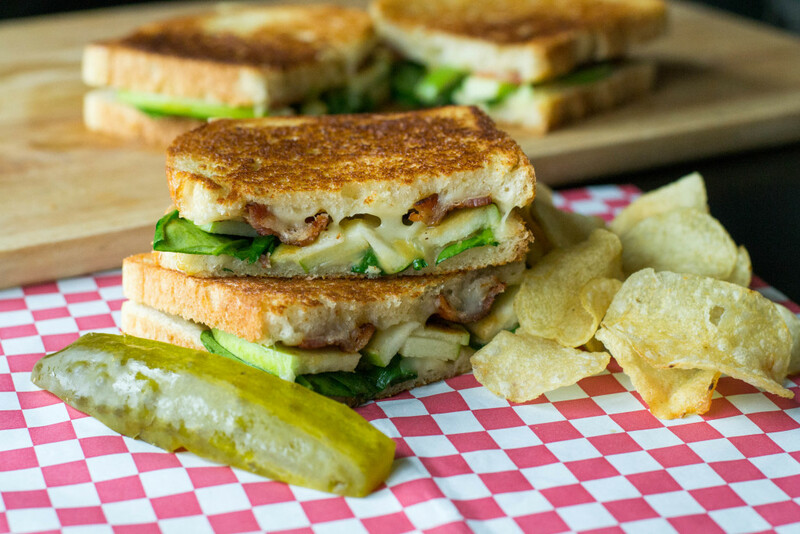 Bacon Apple Grilled Cheese - What the Forks for Dinner? Warm, toasty, and cheesy… with a tart crunch of apple. And what can you say about bacon?????? Honey mustard adds a sweet zip. I’m not sure who invented honey mustard, but hats off to them. Once you try honey mustard, you will look for ways to use it!! Perfect for sandwiches, dips, and dressings. Not that I think every dish needs a healthy element, but the spinach does add a touch of health to this sandwich. In addition, a nice shot of green color makes the sandwich pretty. I’m all about pretty food! If you are concerned about the butter, a spray of non stick cooking spray can be used instead of the butter. Less calories and still a good taste. Though butter is better……..just saying. 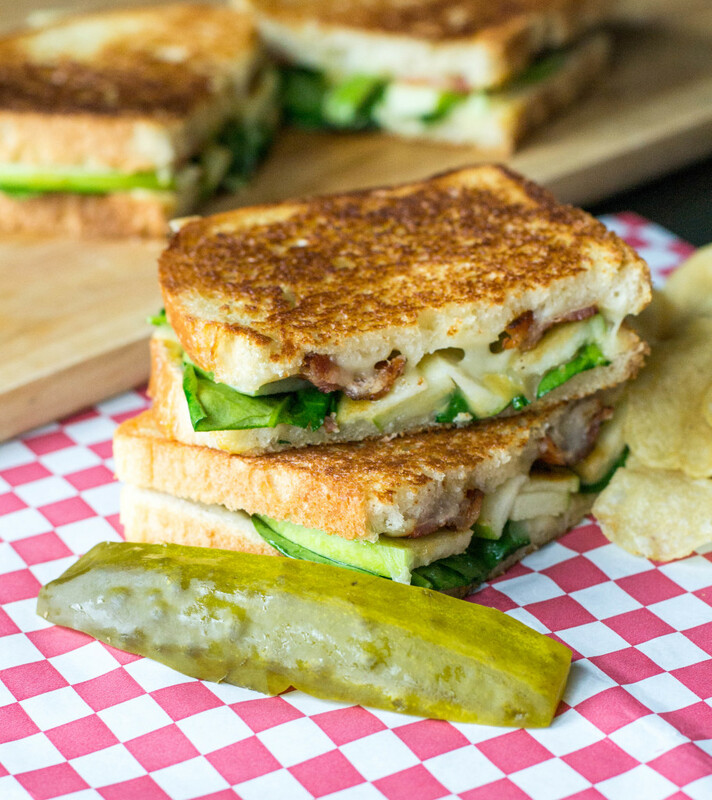 Add a side of chips and a pickle, and you have a stupendous lunch or light supper. 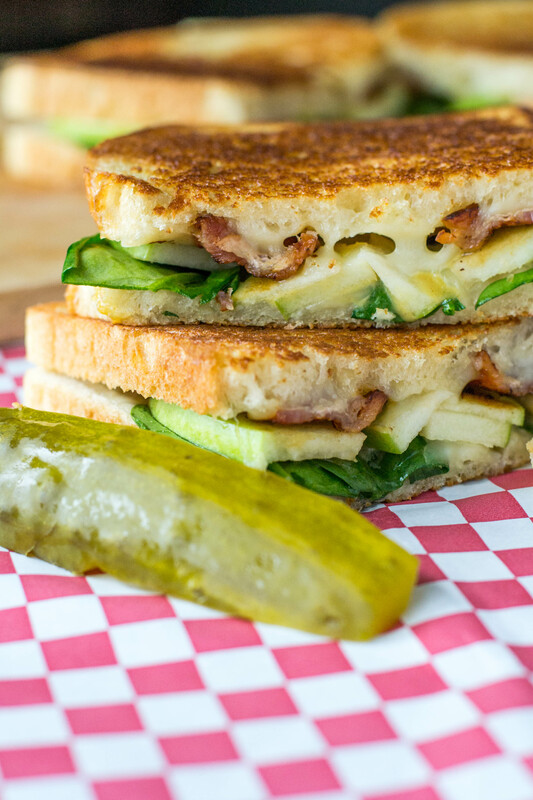 Quick and easy….make your next grilled cheese a Bacon Apple Grilled Cheese! In a small bowl mix mustard and honey. Set aside. 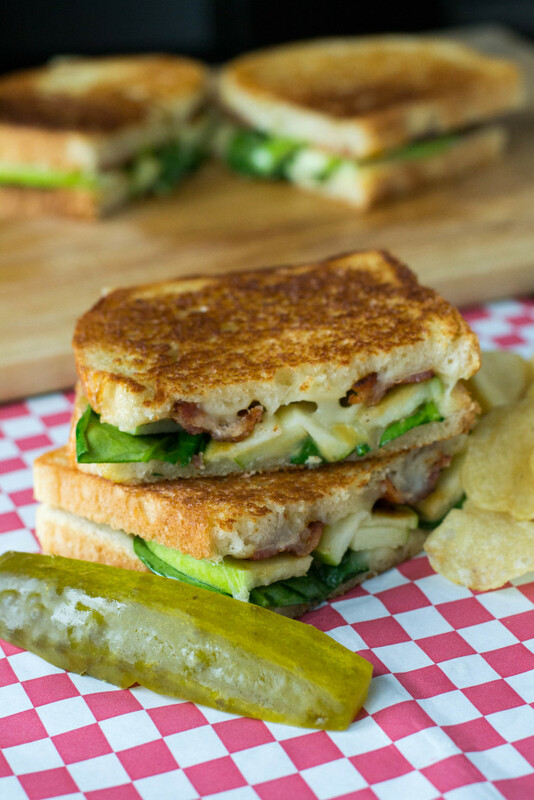 Top slices of bread with cheese, bacon, apple and spinach. Drizzle honey mixture over spinach. Place bread slices together forming the sandwich. Spread butter on outside of bread. 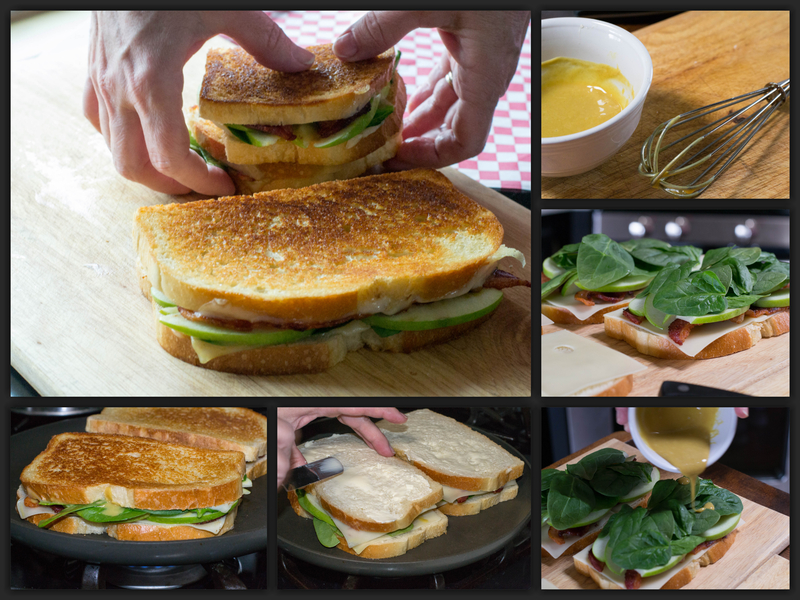 In a large skillet or griddle over medium heat, cook sandwiches about 3 minutes on each side, or until golden brown. 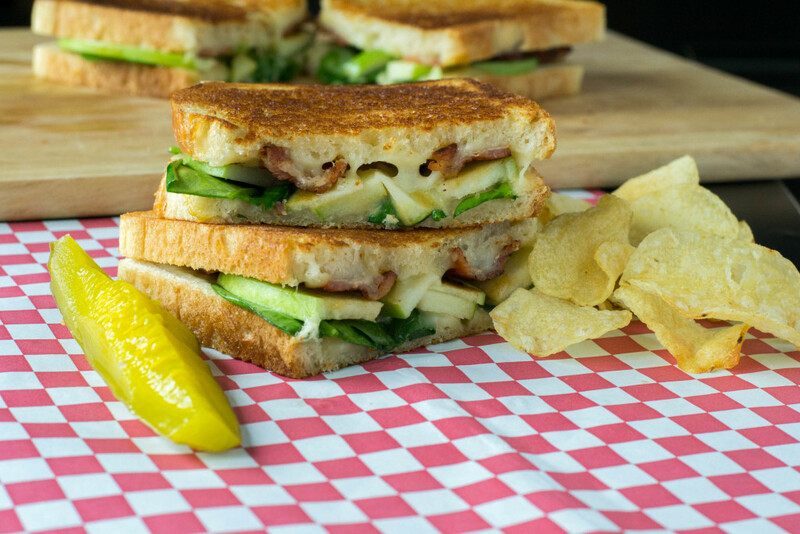 Press down on sandwiches with a spatula so all the ingredients can adhere to one another.